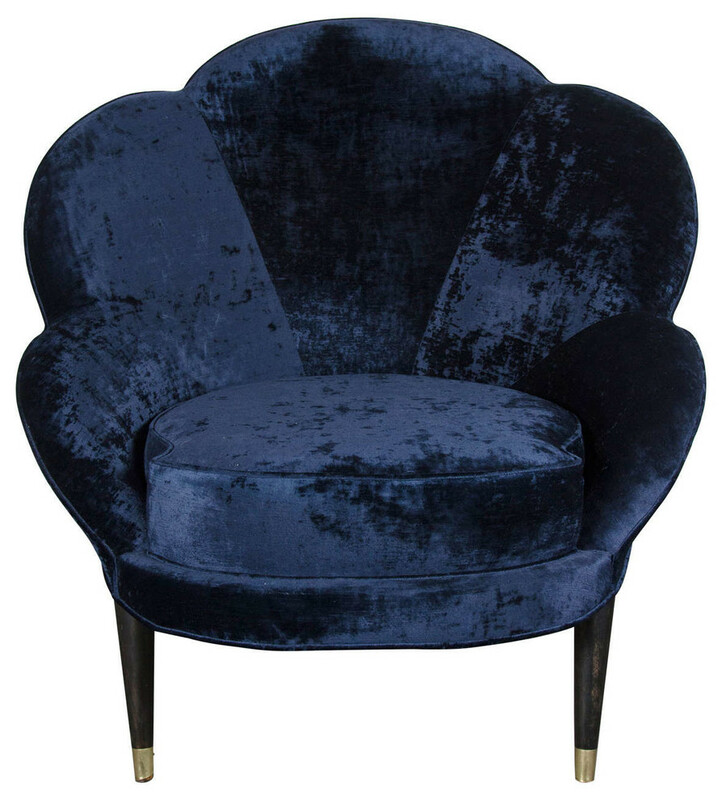 Mid-Century Modernist 'Flower' Chair with Ebonized Walnut legs, brass sabots and upholstered in a sapphire blue velvet upholstery. This playful but sophisticated chair features a streamlined style. The chairs curved back takes the shape of a flower giving it the name the 'Flower' Chair. The entire chair sits at a slight angle for added dimension and sits atop Ebonized Walnut legs with brass sabots. W 34" / D 31" / H 31.25" / 48 lb.